New York NY Readio® Front Page - November 30th 2001. NYC Clickers Daily Feature Photos - "Billionaire, Mayor Mike's NYC Home, New York City - Photo Tour"
NYC Clickers Photo Tours pg. 2 - See a picture tour of East 79th Street and the townhouse where Mike Bloomberg lives. New York Mayor elect's home is located in a highly sought after area. See pictures of the Whitney Museum, the Metropolitan Museum of Art, Central Park, Madsion Avenue, Park Avenue, the Carlyle Lounge, and the Carlyle Hotel. Pictures of the life of a NYC billionaire. Zoom Zone Pictures - Carlyle Hotel, Carlyle Lounge, Designer T-shirt, Madison Avenue, New York City Phototour. New York City lifestyle photography. Doctor Delicious New York Chef Recipes - Recipe for Bread Pudding With Pecans. Tiffany and Starlene team up to get rid of their lover's secretary Nicole. Starlene's got a plan and she takes action. New York NY Readio® Front Page - November 29th 2001. NYC Clickers Daily Feature Photos - "Southern Exposure, New York City - Photo Tour"
NYC Clickers Photo Tours pg. 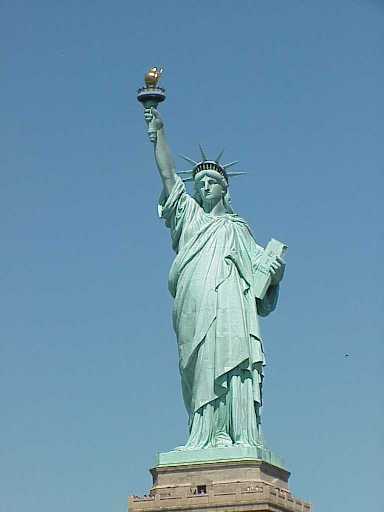 2 - A picture tour of some of the great sights to see on the southern tip of Manhattan. You'll see pictures of the skyline of the city and Pier 17 from the Brooklyn Bridge. See Battery Park, Broadway, Wall Street, NYSE, Merchant Marines Memorial, SoHo Grand Hotel and shopping on Pier 17 at the South Street Seaport. Zoom Zone Pictures - Broadway Chambers Street, South Street Seaport Mall, Flowers, New York City Phototour. New York City lifestyle photography. Doctor Delicious New York Chef Recipes - Recipe for Chicken with Peppers. Starlene finds naughty pictures of her lover Stanley's secretary Nicole in his desk drawer. She finds out Nicole's made plans for Stanley that didn't include Starlene anymore. New York NY Readio® Front Page - November 28th 2001. NYC Clickers Daily Feature Photos - "See Why We Love NYC, New York City - Photo Tour"
NYC Clickers Photo Tours pg. 2 - See pictures of some of our favorite places in NYC. You'll see pictures of the skyline of NYC at night with the Empire State Building. You'll see Rockefeller Center, Broadway, Central Park, the Municipal Building, Park Avenue, and Mulberry Street in Little Italy. Zoom Zone Pictures - The Lake Central Park, Mulberry Street, Little Italy, Roses, New York City Phototour. New York City lifestyle photography. Doctor Delicious New York Chef Recipes - Recipe for Crabmeat and Corn Soup. Starlene stops by Stanley's office to find out why his secretary got the modeling job she herself wanted. Stanley's on the spot now. New York NY Readio® Front Page - November 27th 2001. NYC Clickers Daily Feature Photos - "Streets of Greenwich Village, New York City - Photo Tour"
NYC Clickers Photo Tours pg. 2 - A picture tour of the streets of Greenwich Village. You'll see pictures of coffee houses and clubs on Bleecker Street. See photos of Panchito's restaurant on MacDougal Street, and the pretty townhouses that line the street. You'll see a picture of Washington Square Park, Houston Street, and the stores and shops of Greenwich Village. Zoom Zone Pictures - Coffee Houses, Bleecker Street, Greenwich Village, Roses, New York City Phototour. New York City lifestyle photography. Doctor Delicious New York Chef Recipes - Recipe for Potato Pizza. Tiffany's stuck at work when she finds out Nicole is still alone with Amir in his mansion. It's time to get rid of Nicole. New York NY Readio® Front Page - November 26th 2001. NYC Clickers Daily Feature Photos - "Central Park Skyline Views of NYC, New York City - Photo Tour"
NYC Clickers Photo Tours pg. 2 - See pictures of the skyline of NYC as seen from Central Park. You'll see pictures of the skyscrapers from the East and West sides of New York City from the Great Lawn and Wollman Rink. See "The Lake" and horse and carriages. See pictures of the Metropolitan Museum of Art and vendors selling hot dogs. Zoom Zone Pictures - Horse and Carriage Central Park, Vendor, Roses, Flowers, New York City Phototour. New York City lifestyle photography. Doctor Delicious New York Chef Recipes - Recipe for Risotto with Shrimp. After spending the night at Amir's mansion, Tiffany, Nicole and Amir have coffee together. Tiffany wants Nicole to leave. Nicole wants Tiffany to leave. New York NY Readio® Front Page - November 23rd 2001. NYC Clickers Daily Feature Photos - "Bikers, Butchers, Bras and Better Living, New York City - Photo Tour"
NYC Clickers Photo Tours pg. 2 - See the newest and hottest neighborhood of NYC, the Meat Packing District. You'll see pictures of Hogs-n-Heifers, the Gas Light Lounge, Florent Restaurant on Gansevoort Street, and motorcycles cruising in the city. You'll see old train trestles and cobblestone streets. See pictures of Son Cubano Restaurant and Bar including the decor of the lounge. Zoom Zone Pictures - Son Cubano Restaurant and Bar West 14th Street, NYC, New York City Phototour. New York City lifestyle photography. Doctor Delicious New York Chef Recipes - Recipe for Biscotti. Nicole's spending the night at Amir's mansion interrupting Tiffany's plans for intimacy. Nicole's determined to steal Amir from Tiffany tonight. Macy's Thanksgiving Day Parade Pictures - November 22nd 2001. New York NY Readio® Front Page - Thanksgiving Day in New York November 22nd 2001. NYC Clickers Daily Feature Photos - "Thanksgiving in New York, New York City - Photo Tour"
NYC Clickers Photo Tours pg. 2 - Today's a special Thanksgiving Day in New York City. See pictures of the Statue of Liberty, Mayor Giuliani, Mayor elect Mike Bloomberg, and ground zero of the World Trade Center disaster. See pictures of the Veteran's Day Parade and the American Flag that flew at ground zero. See pictures of 212 restaurant at Lexington and Park Avenue, and the homeless of NYC. Zoom Zone Pictures - Mayor Elect Mike Bloomberg, Homeless People, Roses, New York City Phototour. New York City lifestyle photography. Doctor Delicious New York Chef Recipes - Recipe for Roast Turkey and Stuffing. The weather turns ugly and Nicole turns warm for Amir. How will the Thanksgiving pajama party with Tiffany, Amir and Nicole go tonight? New York NY Readio® Front Page - November 21st 2001. NYC Clickers Daily Feature Photos - "Trends Begin in Fashionable SoHo, New York City - Photo Tour"
NYC Clickers Photo Tours pg. 2 - See pictures of where fashion, art and trends begin in SoHo. You'll see pictures of art on West Broadway, the billboards of Houston Street, Richmond Hill and the exclusive stores and restaurants that line the streets in New York City's SoHo. Zoom Zone Pictures - Spring Street Soho, Shopping in NYC, Art, Roses, New York City Phototour. New York City lifestyle photography. Doctor Delicious New York Chef Recipes - Recipe for Apple Pie Delicious. Nicole tells Tiffany and Amir about her future plans. Tiffany hopes Nicole will soon leave the lovers alone, but Nicole has other plans for the evening. New York NY Readio® Front Page - November 20th 2001. NYC Clickers Daily Feature Photos - "NYC Avenues and Squares, New York City - Photo Tour"
NYC Clickers Photo Tours pg. 2 - See pictures of Park Avenue near Union Square Park. You'll see pictures of the W Union Square Hotel, the Empire State Building on Fifth Avenue, Washington Mews, Third Avenue, St. George's Church, Beth Israel Hospital at Stuyvesant Park and the Gotham Bar and Grill. Zoom Zone Pictures - Beth Israel Hospital, Gotham Bar and Grill Restaurant, Roses, New York City Phototour. New York City lifestyle photography. Doctor Delicious New York Chef Recipes - Recipe for Sweet Potato Balls. Just when Tiffany and Amir were ready for a romantic evening alone, Nicole stops by. Nicole's in the mood for romance too. Readio® on Broadway - "A Christmas Carol" - opened Friday November 23rd 2001. New York NY Readio® Front Page - November 19th 2001. NYC Clickers Daily Feature Photos - "NYC, The Spice of Life, New York City - Photo Tour"
NYC Clickers Photo Tours pg. 2 - See a variety of NYC pictures on today's tour. See photos of the Empire State Building and the NYC skyline as seen from a rooftop in Midtown. See Tudor City, the UN, Shubert Theatre, Commerce Street in the West Village, Fifth Avenue and Central Park West. Zoom Zone Pictures - Homeless People in NYC, Park Avenue, Met Life, Roses, New York City Phototour. New York City lifestyle photography. Doctor Delicious New York Chef Recipes - Recipe for Pumpkin Pie. Tiffany and Amir are about to have their first evening alone in his Sutton Place mansion, when they get an unexpected phone call. New York NY Readio® Front Page - November 16th 2001. NYC Clickers Daily Feature Photos - "Gorgeous Gramercy Park, New York City - Photo Tour"
NYC Clickers Photo Tours pg. 2 - Fall in Gramercy Park! See pictures of Gramercy Park and the surrounding area. You'll see pictures of the Chrysler Building, Irving Place, Pete's Tavern, Friend of the Farmer Restaurant, The National Arts Club, and many beautiful Fall pictures of NYC's exclusive Gramercy Park. Zoom Zone Pictures - National Arts Club, Gramercy Park, Roses, New York City Phototour. New York City lifestyle photography. Doctor Delicious New York Chef Recipes - Recipe for Coconut Lemon Cake. Starlene and Tiffany are discussing Nicole with Clark at the office. Stanley stops by with a big surprise for everyone. New York NY Readio® Front Page - November 15th 2001. NYC Clickers Daily Feature Photos - "Pulse Quickening Theater District, New York City - Photo Tour"
NYC Clickers Photo Tours pg. 2 - See a picture of the theatre district and a picture of Hell's Kitchen as seen from a rooftop with the Worldwide Plaza and Hudson River in view. See pictures of Broadway, the Theater tickets stand and the Jumbotron. See a picture of West 44th Street, where you can find the new City Club Hotel, NY Yacht club, Algonquin Hotel, and the Iroquois Hotel. See a picture of Sardi's restaurant and ABC Studios on Broadway. Zoom Zone Pictures - Sardis Restaurant, ABC Studios, Times Square, Broadway, New York City Phototour. New York City lifestyle photography. Doctor Delicious New York Chef Recipes - Recipe for Rabbit Stew. Starlene and Tiffany discuss the party, their lovers, and the new secretary that's stealing the show. New York NY Readio® Front Page - November 14th 2001. NYC Clickers Daily Feature Photos - "Fall Favorites in New York, New York City - Photo Tour"
NYC Clickers Photo Tours pg. 2 - See some pretty pictures of Central Park and Museum Mile. You'll see pictures of Fifth Avenue, the Metropolitan Museum of Art, Rockefeller Center and the ice skating rink. See pictures of shopping on Fifth Avenue at Harry Winston, the Stanhope Hotel, St. Patrick's Cathedral, and the clubs on Bleecker Street. Zoom Zone Pictures - Clubs, Nightclubs, Kenny‘s Castaways Bleecker St. Central Park, New York City Phototour. New York City lifestyle photography. Doctor Delicious New York Chef Recipes - Recipe for Pumpkin Soup. Tiffany finds herself under pressure from the publisher of Playbody and her boss. Starlene doesn't give up on her dream for fame. New York NY Readio® Front Page - November 13th 2001. NYC Clickers Daily Feature Photos - "Love at First Sight, New York City - Photo Tour"
NYC Clickers Photo Tours pg. 2 - Today's photo tour will show you some of the reasons everyone loves New York. See pictures of Times Square, skyline views, Little Italy, the United Nations, Chinatown, Greenwich Village, SoHo, and Central Park. Pictures you'll love from a city you love. Zoom Zone Pictures - Soho, Art, Horse and Carriage in Central Park, Roses, New York City Phototour. New York City lifestyle photography. Doctor Delicious New York Chef Recipes - Recipe for Bread Baked with Sun-Dried Tomato. The competition heats up between Starlene and Nicole for Stanley and the modeling job for Playbody. New York NY Readio® Front Page - November 12th 2001. NYC Clickers Daily Feature Photos - "Downtown, Don't Count It Out, New York City - Photo Tour"
NYC Clickers Photo Tours pg. 2 - See pictures of downtown NYC. See the changed skyline without the WTC at Battery Park. You'll see pictures of Castle Clinton, the southernmost tip of the island of Manhattan, Fraunces Tavern, Federal Hall, The New York Stock Exchange, and the gardens and sculptures of Battery Park. You'll read about the past hard times of the area and how New Yorkers are coping after 9/11. Zoom Zone Pictures - Battery Park, Memorials, Downtown NYC, Roses, New York City Phototour. New York City lifestyle photography. Doctor Delicious New York Chef Recipes - Recipe for Chocolate Cake. The publisher of Playbody comes to the party at Tavern on the Green. Tiffany's worried about her lover's attention to his new secretary. New York Veteran's Day Parade Pictures - November 11th 2001. New York NY Readio® Front Page - November 9th 2001. NYC Clickers Daily Feature Photos - "Autumn in New York City, New York City - Photo Tour"
NYC Clickers Photo Tours pg. 2 - It's the most gorgeous season in NYC. See the colors of Fall in pictures taken on Park Avenue, Central Park, Rockefeller Center, Trump Tower and the Plaza Hotel. See pictures of Radio City Music Hall, New Yorkers skating, and, enjoying the Fall weather. See the Fall foliage mixed with American Flags everywhere. Zoom Zone Pictures - Radio City Music Hall, Horse and Carriage, Roses, New York City Phototour. New York City lifestyle photography. Doctor Delicious New York Chef Recipes - Recipe for Meatballs. Everyone attends a party at Tavern on the Green. Stanley and Amir's new secretary Nicole is capturing the men's attention as Starlene and Tiffany figure out how to handle the competition. New York NY Readio® Front Page - November 8th 2001. NYC Clickers Daily Feature Photos - "Broadway, The Great White Way, New York City - Photo Tour"
NYC Clickers Photo Tours pg. 2 - A picture tour that takes you for an evening out on Broadway and Times Square. You'll see an aerial picture of New York's Times Square, the lights, signs and people on Broadway. See limos making their way past stores and theaters in the Theatre District. See the Jumbotron at night. See a picture of the Winter Garden Theater where "Mamma Mia" is playing, a sign for "Chicago", and a New York sightseeing tour bus. Zoom Zone Pictures - New York Sightseeing Tour Bus, Chicago, Theater, Plays, New York City Phototour. New York City lifestyle photography. Doctor Delicious New York Chef Recipes - Recipe for Vegetable and Barley Soup. Tonight's the party for Tavern on the Green. How will Tiffany and Starlene like this hot-looking new secretary? New York NY Readio® Front Page - November 7th 2001. NYC Clickers Daily Feature Photos - "Images of the Village Lifestyle, New York City - Photo Tour"
NYC Clickers Photo Tours pg. 2 - Today's picture tour takes you from Broadway to the Bowery to Greenwich Village. See pictures of the East Village near Tompkins Square Park, St. Mark's in the Bowery Church, Cooper Union College, Astor Place and Grace Church on Broadway. You'll see Washington Square Park in Greenwich Village and lifestyles of Village people. Zoom Zone Pictures - St. Mark’s in the Bowery Church, East Village, Roses, New York City Phototour. New York City lifestyle photography. Doctor Delicious New York Chef Recipes - Recipe for Pistou. Tiffany and Starlene get dressed for the party at Tavern on the Green. The sisters discuss the new secretary. New York NY Readio® Front Page - November 6th 2001. NYC Clickers Daily Feature Photos - "Homes of Harlem, New York City - Photo Tour"
NYC Clickers Photo Tours pg. 2 - Today's picture tour shows you some of the great homes of Harlem. See pictures taken of Sugar Hill which was home to Duke Ellington. See the row houses of Sylvan Terrace built in the 1880's. See 145th Street, a beautiful funeral home and a close neighbor, Yankee Stadium. Zoom Zone Pictures - Yankee Stadium, Harlem, Roses, Sugar Hill, Flowers, New York City Phototour. New York City lifestyle photography. Doctor Delicious New York Chef Recipes - Recipe for Apple Strudel. Amir's home from his island and his comatose wife. He phones Tiffany and meets his new secretary Nicole today. Is Nicole trouble for Tiffany? New York NY Readio® Front Page - November 5th 2001. NYC Clickers Daily Feature Photos - "Quaint Streets, Historical Downtown, New York City - Photo Tour"
NYC Clickers Photo Tours pg. 2 - See pictures of some of the historic cobblestone streets of downtown NYC. You'll see pictures of the Cotton Exchange which was located downtown in 1870. See pictures of the Stone Street Tavern, Seaport Suites Hotel, the South Street Seaport, Mill Street, and the historical ships in the skyline at the South Street Seaport Museum. Zoom Zone Pictures - Mill Street, South Street Seaport, Shopping, Roses, New York City Phototour. New York City lifestyle photography. Doctor Delicious New York Chef Recipes - Recipe for Sea Bass Grilled with Fennel. While Tiffany waits to meet Stanley in his office at the Empire State Building, she finds evidence of his plans for Starlene that disturb her. New York NY Readio® Front Page - November 2nd 2001. NYC Clickers Daily Feature Photos - "Pictures of Central Park in the Fall, New York City - Photo Tour"
NYC Clickers Photo Tours pg. 2 - A picture tour of Central Park in the fall. See pictures of the lake framed by trees and the NYC skyline. Autumn pictures in Central Park with a horse and carriage. Pictures of the Boathouse, artists, Bethesda Fountain, the Conservatory Water and millions of Goldfish. Zoom Zone Pictures - Central Park in the Fall, Gold Fish, Roses, Autumn in NYC, New York City Phototour. New York City lifestyle photography. Doctor Delicious New York Chef Recipes - Recipe for Carrot Cake with Maple Butter Frosting. Starlene and Tiffany discuss Stanley's new secretary Nicole. Starlene makes a surprise announcement. New York NY Readio® Front Page - November 1st 2001. NYC Clickers Daily Feature Photos - "Big Apple Images, New York City - Photo Tour"
NYC Clickers Photo Tours pg. 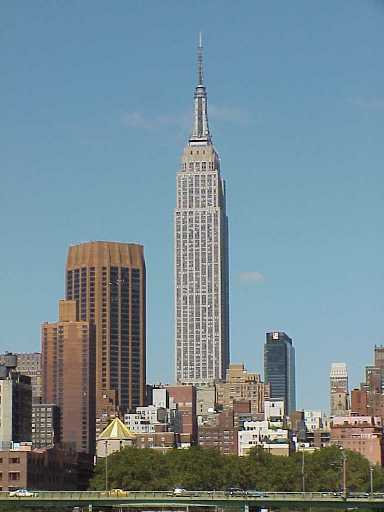 2 - A picture tour of New York City neighborhoods, including the skyline of NYC before the terrorist attacks, Times Square, Amsterdam Avenue, Carnegie Hall, Chinatown, UN Plaza, and the Carnegie Deli. Zoom Zone Pictures - Carnegie Deli Restaurant, Chinatown, Roses, Shopping, New York City Phototour. New York City lifestyle photography. Doctor Delicious New York Chef Recipes - Recipe for Tuna with Tomato Stew. Stanley takes Starlene home in the limo after she meets his new secretary Nicole. Stanley has a lot of explaining to do.